A conversation with Unilever’s Chief Sustainability Officer Gail Klintworth on the Sustainable Living Plan’s progress, challenges, what’s necessary to shift global & local consumer mindsets and more: Moderated in partnership with Triple Pundit’s editorial duo Jennifer Boynton and Nick Aster. 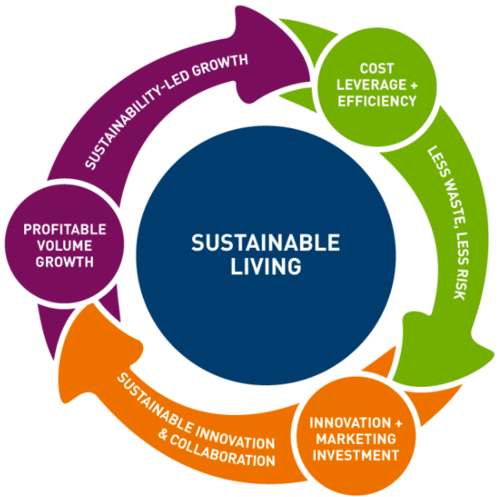 What role does a consumer-facing sustainability strategy play in an ambitious plan like the Unilever Sustainable Living Plan? That’s where I left off in my interview with Marketing Chief Keith Weed last week in our review of the ambitious Plan two years since launch. Make it understood. Sometimes people don’t know about a behavior and why they should do it. This Lever raises awareness and encourages acceptance. Make it desirable. The new behavior needs to fit with how people like to think of themselves, and how they like others to think of them. This Lever is about self and society. Make it rewarding. 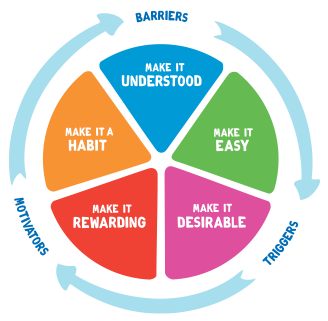 New behaviors need to articulate the tangible benefits that people care about. This Lever demonstrates the proof and payoff. “We need to continue to work with others to drive this change. If we achieve the Sustainable Living Plan, and it doesn’t change business at scale, ultimately that’s a fail. 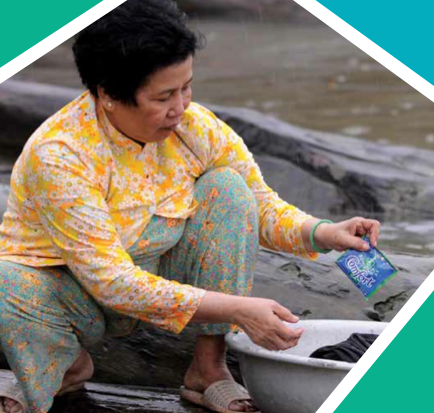 Unilever’s impact is huge but we’re still a drop in the ocean. We need a movement going for businesses to help address this,” he explained. “We are already working with organizations like the World Toilet Organization, UNICEF and others on sanitation, for example, which is a very important issue for us. Two million children die every year from pneumonia or diarrhoea. In a world where there are more mobile phones than toilets or toothbrushes, our work ahead is sure cut out for us,” he added. The fact is Unilever cannot do it alone. None of it. 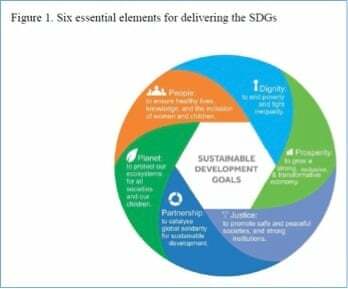 And Weed and team have understood that since launching the Unilever Sustainable Living Plan. While scale is a huge factor, organizations require individual and mass power to change consumer behavior and habits. And that is where the Five Levers for Change along with creative partnerships like the kind Weed referred to can help. “I was in Brazil recently speaking to a lady in Sao Paulo about the environment and the city’s pollution. For her this meant dust from the nearby construction and the tainted flavor of her water supply. These were her immediate challenges – not deforestation or climate change. People view the world through the prism of my world – family, friends, and community. Our world is a step bigger: the city you live in, the supermarket, the local dump, etc. And the final level, ‘the world’ is the rainforest, the ice melting in the Arctic,” Weed continued. littering because it would stop the drains from getting clogged and therefore avoid local floods. Level One,” he said. What companies need to do is create a movement and work with people to drive change. A natural question then: Is Unilever working with other companies on its initiatives or primarily with nonprofits? One example Weed offered was palm oil. In fact, Weed says Unilever managed to reach the 100 percent goal last year because of this collective effort. The next step: To make the supply chain of sustainable palm oil easier and connected by 2020. “Right now procuring sustainable palm oil means weaving through a very complex supply chain,” he added. Another example: the work of the Consumer Goods Forum, which includes 650 members including manufacturers, competitors, retailers and NGOs, responsible for over $2.5 trillion in sales. And Weed is pretty positive about the goals and work of the Forum: “There are a lot of companies getting behind the need to address the negative impacts of deforestation, and momentum is starting to build,” he said. While momentum is starting to build – with several companies announcing new initiatives and collaborations – the issue did bring us back full circle to where we started: how do we connect these overarching partnerships with the average consumer? And what role does cause marketing play in Unilever’s 2020 plan? Should we expect more nuanced advertising on the lines of the Dove campaign, for example? Or go full throttle like Patagonia’s “Don’t Buy This Jacket” campaign? It’s going to be subtler, says Weed. “For example, for our Tomato soup in Germany or our Ketchup in India, we talk about sourcing tomatoes sustainably. With our Lipton tea, we talk about sourcing all our tea and tea bags sustainably by 2020,” Weed explained. “Consumers comprehend these messages differently though. 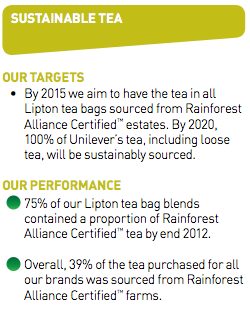 When we talk about sourcing our tea sustainably, customers see the Rainforest Alliance logo as a sign of better quality and taste, not necessarily sustainability. With our Hellman’s mayonnaise we discuss cage-free eggs. Consumers perceive that as an indication of better food: animals are better looked after therefore they’re getting better food. However, it’s still early days,” he added. Early days also for Unilever’s employees, who are witnessing – and participating – in a significant shift culturally at a company that has left behind decades of “doing things one way” to a more complex ideology. How has the company’s culture evolved since 2010? generation financially and environmentally – so we ‘re going out and saying we want our employees to innovate and encourage new ways of doing business,” Weed said. In fact, the marketing chief, who also leads internal and external communications for Unilever, says despite the many crises facing our world today engagement levels among employees have gone up consistently every year. The Henderson, Nev.-based ice cream plant was recently honored by the Innovation Center for U.S. Dairy for its sustainability practices. “They see us taking on challenges in a positive way and that’s inspiring,” Weed wraps up. In recent posts, I explored the genesis of Johnson & Johnson’s proprietary Earthwards® process and how it has been used to help develop greener products to meet customer needs. For Johnson & Johnson, the process of instilling a sustainability mindset began with introspection and questioning: How does an organization with multiple product lines and a global workforce develop and define greener products? And the process began with a tool called GAIA, or Global Aquatic Ingredient Assessment. In the beginning, GAIA was operating almost exclusively with R&D because it was a science-based tool with specific emphasis on measuring downstream ecosystem impacts. Implementation of the Earthwards process accelerated broader adoption and has helped spur greener product innovation based on lifecycle thinking that is, in part, quantified by tools like GAIA. But Earthwards, despite its rigor and initial success, is still in its infancy. In 2012, Senior Director for Worldwide Environment Health and Safety Al Iannuzzi enlisted a team of experts that volunteered to examine the Earthwards process and recommend areas for improvement. What’s next? I explore the future of the program through the eyes of two well-respected sustainability experts who recently weighed in as part of that expert team: Andrew Winston and L. Hunter Lovins. By now, you’ve probably caught a glimpse of that new inspiring Honda Civic 2013 commercial, framing innovation as believing that ‘things can always be better.’ For Winston, making things better begins by asking questions. “As we pursue sustainability in the future, asking the right questions will be as important as the answers we get,” he said. For the people at Johnson & Johnson, the concept of continuous improvement is a driving force. So it makes sense that their efforts to evolve the current Earthwards methodology into a better process began with some honest introspection and engagement with a few external experts, including Winston and Lovins. In a recent phone call with Winston, I asked him his impressions of the Earthwards process. Of course there are trade-offs. But the biggest challenge internally is giving employees the time and information they need to become comfortable with the Earthwards process and appreciate the impacts of improvements across the lifecycle. Sufficiently Ambitious or Room for Improvement? interest in – environmental protection and sustainability. “The company has cared about its impact on the environment and on people, and taken a position of responsibility,” Lovins noted. While both Lovins and Winston said that the Earthwards process is one of the most comprehensive sustainable product tools in the industry, and in Lovins’ view, “a strong and rigorous process.” She also feels there is opportunity for the company to become even more aggressive in making this a companywide initiative. Some of J&J’s leading products are doing more than the required 10 percent anyway, so why stop there? According to Iannuzzi, Johnson & Johnson sees the potential to raise the bar, perhaps substantially on some dimensions, but also recognizes the need to balance meaningful improvements within the original intent of Earthwards. According to a recent study commissioned by Johnson & Johnson titled The Growing Importance of Sustainable Products in the Global Health Care Industry, 54 percent of health care organizations globally say green attributes are very important in their purchasing decisions of health care products and supplies. And this trend appears to be gaining traction, as 40 percent of global hospitals expect their future request for proposals to include sustainability criteria for the products they purchase. Among the greatest concerns hospitals share are the amount of energy they use and the volume of waste they generate. With data like these indicating that the strongest push for sustainability is coming from within the healthcare sector, how will this influence the evolution of the Earthwards process? To get at the heart of this question, Winston suggests that Johnson & Johnson ask itself whether doing better than 95 percent of its competitors is good enough. In fact, Winston said Johnson & Johnson should go further than others and has challenged the company to raise the requirements for Earthwards recognition. For example, the baseline could be higher than the current 10 percent improvement needed to achieve recognition in the different categories, especially in the energy efficiency category, in light of the general scientific consensus that greenhouse gas emissions need to be reduced by 85 percent by 2050. Lovins suggests the company be more transparent with customers about where it is in the process of sustainable product development and where it is going. Iannuzzi’s team is already responding by sharing more content on www.earthwards.com including more information about the 36 products that have received recognition so far and other external-facing efforts like a six-part series with CSRwire. Coleman Bigelow, Johnson & Johnson Global Sustainability Marketing Director, sees the Earthwards program as an internal product stewardship and green marketing process rather than a long-term sustainability strategy like that of Marks & Spencer’s Plan A or Unilever’s Sustainable Living Plan. The Earthwards process ensures “every product we produce has undergone a lifecycle screening and is as sustainable as possible. For the first time, we have a process that offers something to the developers, the R&D folks, as well as the marketers and sales associates,” Bigelow explained. Iannuzzi, a Johnson & Johnson veteran of 28 years who has spearheaded the Earthwards program internally from the start and is a popular sustainability champion among the team, doesn’t foresee the company taking an approach akin to GE’s Ecomagination with a separate structure, either. “Our philosophy is to embed sustainability into every product, not create something special or separate,” Iannuzzi explained. That said, the company does plan to track how much of its revenue stems from Earthwards recognized products. So while it is not its own revenue generating business unit, per se, it certainly could prove to save the company money over the long haul as well as drive innovation internally. When I asked Iannuzzi about Earthwards’ ten-year plan, he reflected. “But right now, it’s not as well integrated as we would like,” Iannuzzi admits. Regardless, Winston seems convinced that Johnson & Johnson’s efforts have been both aggressive and innovative as a whole. The next tricky move for the company, say the experts, is to be mindful of how quickly the Earthwards program grows in scope without losing sight of the program’s quality. As the team at Johnson & Johnson prepares for Earthwards round two, the experts’ advice should help the healthcare company scale its journey from green to greener without losing sight of the ultimate goal: A sustainable planet for future generations. For now, it’s back to the white boards. A globally recognized expert in green business strategies, Winston is the author of Green Recovery and co-author of Green to Gold, the international best-selling guide to what works – and what doesn’t – when companies go green. Winston is also founder of Winston Eco-Strategies, a sustainability consultancy dedicated to helping companies use environmental strategy to grow, create enduring value, and build stronger relationships with their stakeholders. He writes extensively on green business strategy, including a weekly column for Harvard Business Online and guest byline articles on Huffington Post. Lovins is an award-winning sustainability consultant, featured speaker at conferences across the globe and author of Natural Capitalism: Creating the Next Industrial Revolution. Lovins is also president and founder of Natural Capitalism Solutions (NCS), which creates innovative, practical tools and strategies to enable companies, communities and countries to become more sustainable. Lovins is also a professor of sustainable business management at Bard College and Denver University, and consults for large and small companies, and governmental clients. Originally written for and published on CSRwire’s Commentary section Talkback on March 13, 2013.